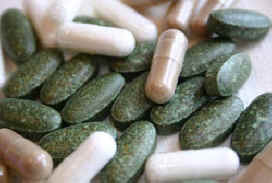 Taking supplements with as little as 0.8 mg/day of folic acid has been shown to increase your risk of dying of heart disease and cancer, according to the results of the first large randomized treatment trial to carefully examine this issue.1 The Norwegian Vitamin Trial (NORVIT) of 3,749 patients, who were followed for 3.5 years was designed to show the benefits of taking supplements—but the results were contrary to expectations. Folic acid supplementation was found to lower homocysteine levels by 28%., but to increase relative risks of heart attack, stroke, and death by 20%, along with a more than a 30% increase in cancer. Those with the highest baseline homocysteine levels (13 umol/L or greater) suffered the most harm from taking supplements of folic acid. Elevated levels of the amino acid homocysteine, found with a blood test have been associated with many common diseases, including heart disease, strokes, venous thrombosis, dementia, and Alzheimer’s disease. The commonly made, but incorrect, assumption is that these diseases are caused by elevated homocysteine in the body and the solution is to give medications (vitamin pills) to fix the problem. However, homocysteine is not the problem. Elevated homocysteine is only a sign that the body is becoming diseased and at risk of a tragedy. We call this type of sign a “risk factor”—it predicts future risk, but it is not a disease in itself—no one dies of an elevated homocysteine level—most commonly, clogged heart arteries are the actual cause of death for those people showing this sign. So what is the real meaning of this risk factor? Homocysteine levels increase when people eat more meat and fewer vegetables. These same dietary habits cause other signs (risk factors)—indicating a higher chance of death and disability—to rise; like cholesterol, triglycerides, uric acid, blood sugar, lipoprotein a, C-reactive protein, blood pressure, and body weight. Fortunately, correcting the poor diet heals the underlying disease, and at the same time the risk factors show improvement. Consuming more than 0.2 mg of folic acid daily floods the bloodstream with this vitamin, overloading the metabolic capacities of the body, causing imbalances that increase the risk of heart disease and cancer.2 Folic acid is a synthetic version of the natural vitamin, folate, found in plant foods. Folate from food is essential for good health. 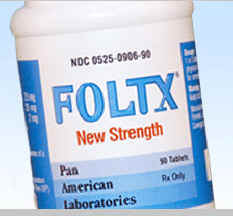 Folic acid sold in capsules is a medication at best and a toxin at worst. When given in doses of 0.8 mg it will lower homocysteine by about 30% (3 to 4 umol/L).3 Higher doses than 0.8 mg have no greater benefit for lowering blood levels of homocysteine. Since 1998, folic acid intake has increased significantly in every segment of the U.S. population with the average additional intake of 0.22 mg/day.3,4 Remember, as little is .2 mg causes overloads and imbalances with an increased risk of illness . A significant segment of the USA population is now consuming over 1 mg/day of folic acid daily—an amount found by the NORVIT study to increase the risk of heart disease and cancer. Another recent study showing folic acid actually causes the heart arteries to close should cause doctors to mend their prescribing practices. After six months of supplementation in 636 heart patients with stents (stents are wire-mesh supports placed in the coronary arteries during angioplasty), the Folate After Coronary Intervention Trial found those patients taking folic acid had significantly more narrowing of the arteries, more artery closure (restenosis), and more major adverse cardiac events compared to those taking placebo—the exact opposite of what investigators had expected to find.6,7 As expected, the homocysteine blood levels were reduced by the above treatment. The authors recommended that the routine administration of folate treatment not be advocated at the present time. 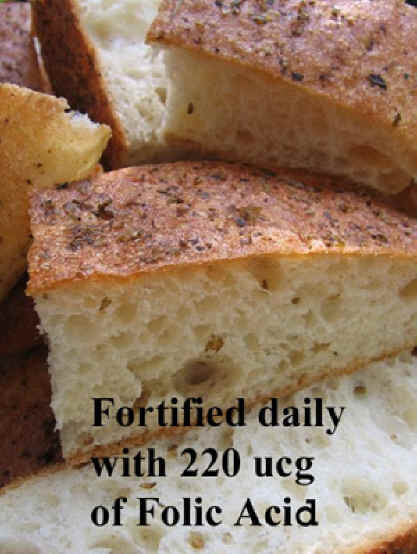 The main motivation behind fortification of flours and taking supplemental vitamins has been to reduce the occurrence of serious birth defects, especially the occurrence of neural tube defects (NTDs). The effort seems to be working a little—since the onset of fortification there has been a 19% decrease in the incidence of NTDs. Unfortunately, these same widespread recommendations to take folic acid may be causing more heart disease and cancer. So, what to do? 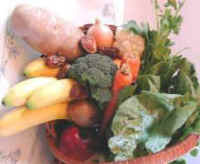 All that money and effort now spent on supplementation with the hope of reducing birth defects, heart disease, and cancer should be directed towards educational programs to teach people to eat more legumes, vegetables, and fruits—the plentiful and safe sources of folic acid. (The name folic comes from the word foliage, which refers to plants.) When packaged in the plant, folic acid is never harmful and always beneficial. Further efforts should be made towards making sure all people have ready access to plant-foods. 1) Bonaa KH. NORVIT: Randomized trial of homocysteine-lowering with B-vitamins for secondary prevention of cardiovascular disease after acute myocardial infarction. Program and Abstracts from the European Society of Cardiology Congress 2005; September 3-7, 2005; Stockholm, Sweden. Hot Line II. 2) Quinlivan EP, Gregory JF 3rd. 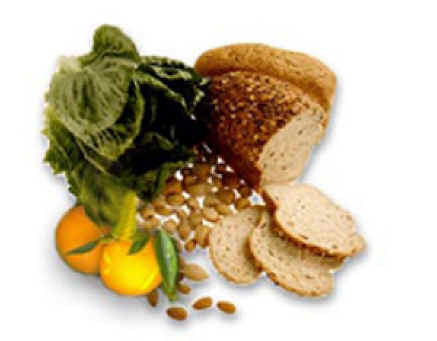 Effect of food fortification on folic acid intake in the United States. Am J Clin Nutr. 2003 Jan;77(1):221-5. 3) Homocysteine Lowering Trailists Collaboration. Dose-dependent effects of folic acid on blood concentrations of homocysteine: a meta-analysis of the randomized trials. Am J Clin Nutr. 2005 Oct;82(4):806-812. 4) Choumenkovitch SF, Selhub J, Wilson PW, Rader JI, Rosenberg IH, Jacques PF. Folic acid intake from fortification in United States exceeds predictions. J Nutr. 2002 Sep;132(9):2792-8. 5) Toole JF . Lowering homocysteine in patients with ischemic stroke to prevent recurrent stroke, myocardial infarction, and death: the Vitamin Intervention for Stroke Prevention (VISP) randomized controlled trial. JAMA. 2004 Feb 4;291(5):565-75. Lange H. The folate after coronary intervention trial (FACIT). Scientific presentation at the 52nd Annual Scientific Sessions of the American College of Cardiology, Chicago, March 30th, 2003. 7) Schnyder G, Roffi M, Flammer Y, et al. Effects of homocysteine-lowering therapy on restenosis after percutaneous coronary intervention for narrowings in small coronary arteries. Am J Cardiol 2003; 91:1265-1269.